A tobacco thief is caught. Wilson Daily Times, 21 August 1933. Robert Artis — in the 1930 census of Black Creek township, Wilson County: farmer Robert Artis, 46; wife Malindy, 31; children Adam, 17, James, 28, Edgar L., 13, Luciea, 13, Christirene, 12, Georgia, 10, and Noah, 9; step-sons Hesicar, 8, and Eugenia, 6; children Lizzie, 4, Richard, 2, and Minnie B., 9 months; and mother-in-law Henrietta [Artis? ], age illegible. 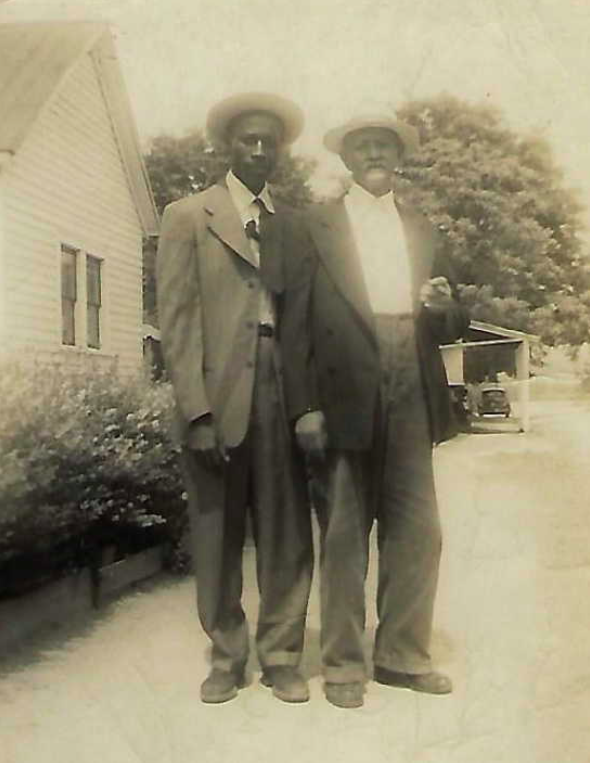 Richard C. Artis and father Robert E. Artis, circa 1950s. Photo courtesy of Melissa Mack. Studio shots, no. 31: Mary Edwards Leach. 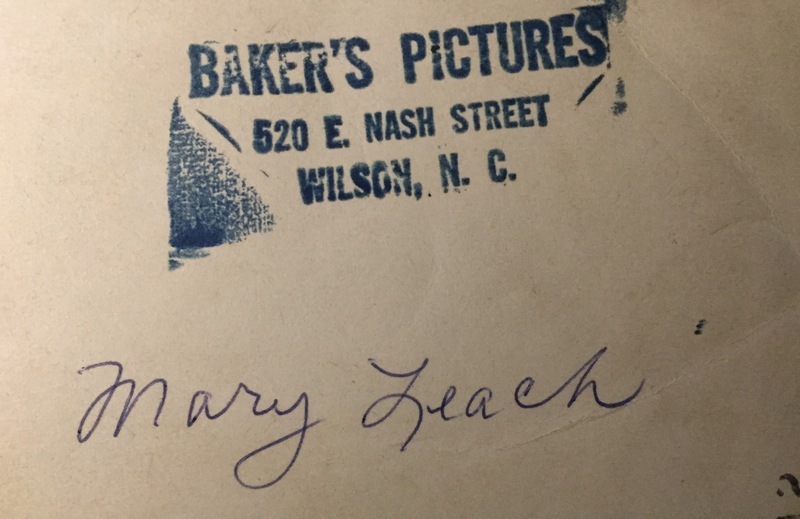 This photograph of Mary Edwards Leach (1910-1992), probably taken in the 1940s, is stamped “Baker’s Pictures. 520 E. Nash Street, Wilson, N.C.” and thus reveals the location of this shot and these. 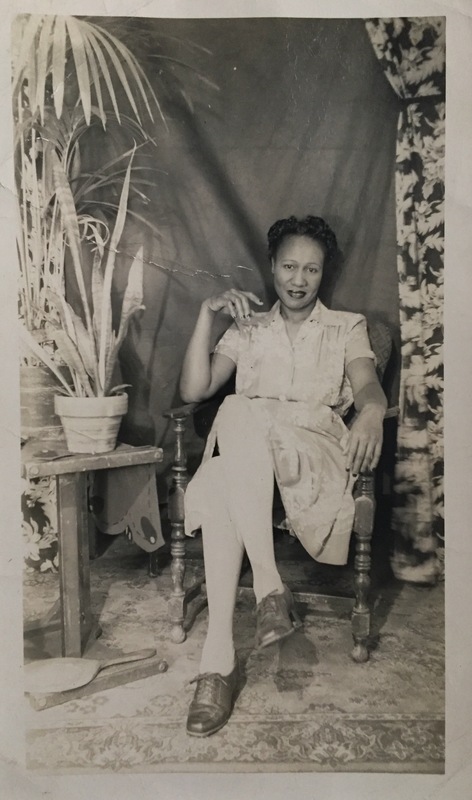 Leach was the daughter of Stephen and Charity Bullock Edwards of Wilson and Greene Counties. 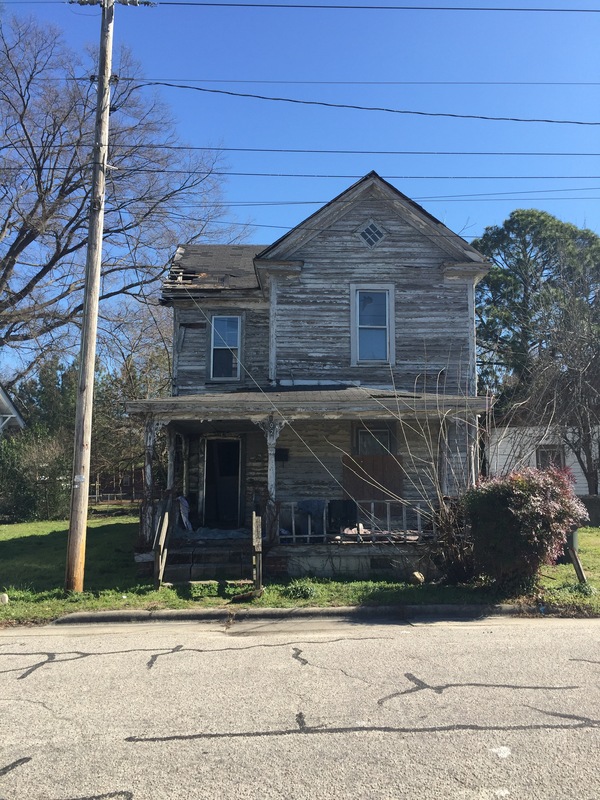 The location of the studio on East Nash suggests that Baker was African-American, but no one by that name — black or white — is listed in Wilson in Stephen E. Massingill’s Photographers of North Carolina: The First Century, 1842-1941.